Clone DVD is the #1 DVD copy software worldwide. With Clone DVD, you can make perfect backup copies of your existing DVD collection to DVD-R/RW or DVD+R/RW. Clone DVD is designed to be easy for beginners, yet powerful enough for professional users too. Using your DVD burner and our DVD Cloner software, you can create true backup copies of any movie in your collection without loss of quality. Your copy will be completely identical to the original! Blu Ray Copy Makes it Easy! Blu ray Copy is an easy, one-click, software for Blu ray HD video users, to copy and backup their Blu ray DVD movies, using a Windows PC. The software incorporates advanced replication technology that allows you to copy Blu-ray movies from a single disc to a file folder, disc to ISO image, or direct, disc to disc replication! 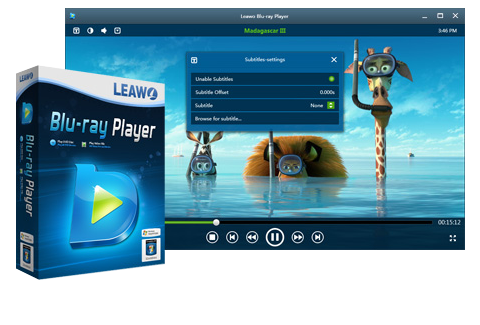 Your all-inclusive media player software to play back Blu-ray/DVD discs, common videos and up to 1080P HD videos smoothly. Supports advanced audio decoding technology, customizable program skins, multiple languages and complete control over your viewing experience! iTransfer is an all-inclusive, quick and easy software that can back up all files on your Apple products. Use it for transferring apps, music, movies, TV shows, ringtones, ebooks, photos and Camera Roll files among iOS devices, iTunes and PCs. iTransfer makes your data transfers for iPhone, iPad and iPod quick and easy as can be! The Best DVD cloner Software to copy and backup any DVD. Includes multiple language options and several available copy modes. Full-featured Blu-ray creator burns videos and other media files to Blu-ray discs, DVDs and ISO image with customized features. Best Blu-ray playing software for Windows, Provides extremely superb experience for Blu-ray, DVD and HD movie playback. A practical assistant to iTunes with comprehensive ability to freely transfer data between iDevices, iTunes and PC. “I'm a new user and finding an easy DVD copying software was difficult for me. Since discovering Clone DVD, it's no longer a problem. “My dear girlfriend bought me a birthday present, wow, it was Clone DVD-for me! Clone DVD, DVD Copy software allows you to make flawless copies of your original DVD, as well as convert to multiple formats for playback on other devices of your choice. Our mission is to create and provide you with high-quality, intuitive and powerful software. We value diligence, creativity and innovation. To ensure maximum customer satisfaction, we are always ready and available to serve you. All images depicted are copyright and trademark of their respective owners / companies.